MadMike wrote: Check your spam mail folders. might of ended up in there? Can only think email address given may have been incorrect..?? This looks correct? If so, rest assured we received your registration and have your pack & ticket put aside with your name on them. Email me if you need our bank account details. for only $99.00 per night for twin-share room. We have decided to include this with the Viking Profish 400 Kayak - 1st Prize in the "Over-all length of (up to) 3 snapper" category. The overall value of this competition has doubled in size this year to just over $10K, and is now at the level we wish to keep. Our vision is to keep this competition a small, personal, and friendly one-day comp for like-minded kayak fishos that fish for a "good time", and we can still offer good prizes that all contestants have a good chance of winning. Have sorted time off work, so I'm in!!! 39. In the event of postponement and/or cancellation of the competition due to adverse weather conditions forecasted, notification will be placed on the Competition page on http://www.northlandkayaks.co.nz" onclick="window.open(this.href);return false; no later than 24 hours prior to the event. In the actual event of the weather causing us to postpone the competition, we would most likely be able to give earlier notice, (I would imagine before the Thursday) so unofficially 19/08/2015, but officially as per Rule #39. We would endeavor to contact all entrants by either phone or email as per registration. 4 knots gusting to 6 at 9am. Sounds like a huge improvement over last year. See you all up there. Tight lines. 10 knot Easterly wind, swinging to 11 knots North Easterly around noon. This forecast is subject to change, so we suggest you get an update for accurate conditions before you launch. Overall though, itâ€™s looking pretty damned good! Should make for an easy launch. Check the tide times as it is difficult paddling against the tide here. You will be able to drive down the boat ramp to the waters edge here for a very easy launch & return. This launch site is the closest to the Tutukaka Harbour entrance, and a reasonably easy launch. This launch site is one of the easiest, and just a little further to paddle out of the harbour. Another easy site to launch from with a reasonable paddle distance to the harbour entrance. Straight opposite the Oceans Resort hotel. This launch site has ample parking, but gives the longest paddle to the harbour entrance. Drive past the Marina, to the very end of the road. Very easy launch from a sheltered beach, with a reasonable paddle to the Harbour entrance. 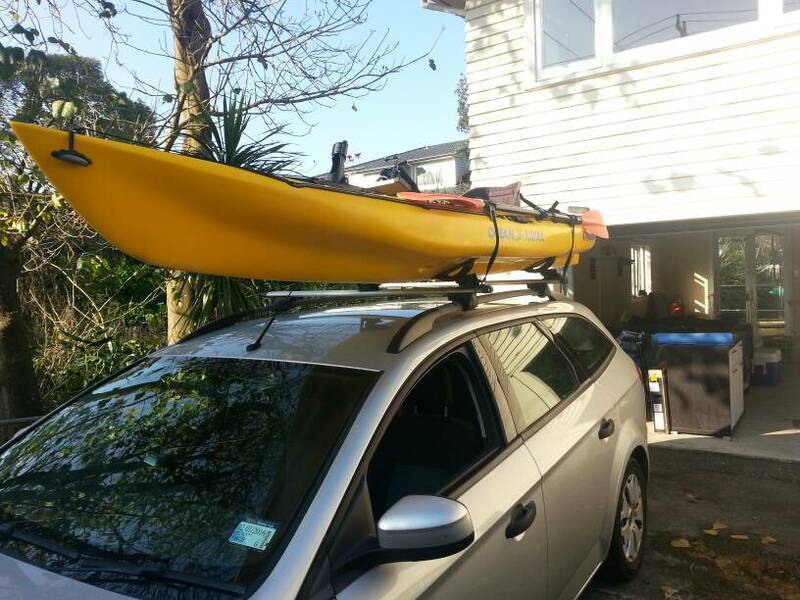 You will need to carry your kayak from the car park to the beach, so will be a lot easier with a buddy. This is another surf Beach launch site, which gives good access to some great fishing grounds. For those exiting and entering the Tutukaka Harbour, please take special care around the North Head as it can be a very high traffic area for all boating. Tutukaka Coastguard is on VHF Channel 85. We encourage those of you with VHF radios to file a Trip Report with Tutukaka Coastguard. Tight lines to all contestants, and we look forward to seeing you at the Tutukaka Oceans Resort, for the Fish Measure (1.00pm to 4.00pm), the Fish Auction (5.00pm), and the Prize Giving at 6.00pm. Tight lines to everyone in this one. It looks like a great comp and I plan to fish it next year. Weather looks good. Go well. Weather looks good. Hope everyone is having a good time. I'm scrubbing slime off a deck this weekend. I know what I'd rather be doing.